If the Law, including our constitution, does not work for us, we change it by processes laid down in Law, to include judicial interpretation (where complete absurdity and/or ambiguity and other identifiable factors permit). We should not simply choose to disobey laws. The basic rules of criminal procedure across most jurisdictions provide that a man cannot be tried twice for the same offence based on the same facts, if the accused has been previously acquitted or convicted. Every first year English Law Degree student would encounter this in the course of their studies. It is referred to as Double Jeopardy. The concept of Double Jeopardy is believed to be one of the oldest principles of Law in Western civilization. The rule also appears to have been of tremendous interest in the French Jurisdiction, who referred to the principle as autrefois acquit or convict. The rule against Double Jeopardy made a significant entry into English Law following the murder of Archbishop Thomas Beckett. There was a controversy between Henry II and Archbishop Thomas à Becket. When St Thomas Becket was murdered, the King, Henry mistakenly believed that the culprits –clerks- had committed the dastardly deed on his behalf and so he was very keen to do what he could to help the situation. He felt that after conviction in the ecclesiastical courts, the clerks should be exempt from any further punishment. The King’s courts, thus, probably, were primarily responsible for bringing about the adoption of the concept of Double Jeopardy into the common law. Double Jeopardy therefore, unfortunately, appears to have originally been introduced into common law to protect proven criminals. The rule however, has a perfectly reasonable rationale, which i needn't bore readers with. Anytime the possible re-opening of Alfred Agbesi Woyome's prosecution under Amidu is broached, Lawyers yell - Autrefois Aquit – Double Jeopardy. In my opinion, should the Attorney General (A.G.) OR the Special Prosecutor have to come to the view that Woyome cannot be prosecuted for reasons such as Double Jeopardy, of whatever form it exists in Ghana, our Legislators should consider taking a leaf out of the British Hansard and change the relevant Laws. Ghanaians should also ignore the presumption against retrospective legislation and hand Woyome back to the A.G. for a second prosecution notwithstanding his earlier acquittal by the High Court. There is a presumption in the processes of Law making and interpretations thereof, that when an offence precedes the coming into force of the Law which prohibits the conduct constituting the offence, then the culprit cannot be punished under the new act/offence unless legislators had backdated the Law to capture when and what past conduct may be affected. The practice of retrospective legislation is more common now, although usually frowned upon and the practice should generally be avoided by legislators. 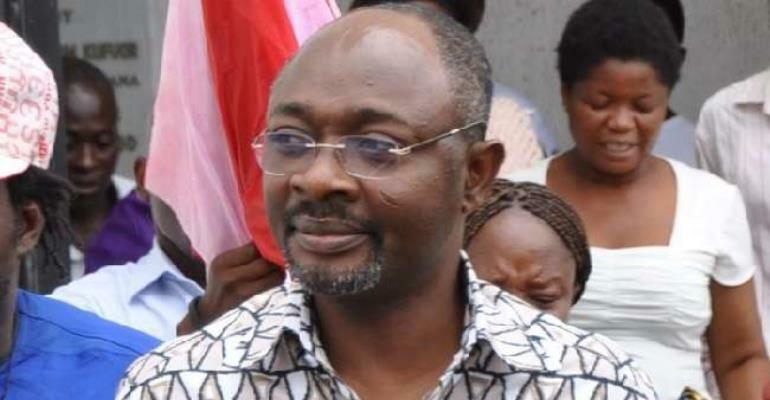 Woyome's case is of overwhelming public interest and importance. It is of sufficient importance as to compel the Law Makers to amend the rule on Double Jeopardy, if any, and to overlook that of retrospective legislation. The size of the theft from the state was dizzying at first until we learnt there was more to come. The question is WHO loses if Woyome goes back on trial for this crime a second time, having once been prosecuted by the A.G.’s department who failed, in the same case, to prosecute or produce some vital witnesses, including some staff at the department. The first case was presided over by a Judge latter found to have a propensity to accept bribes and to be affected by bribes. The Supreme Court of Ghana has already found Woyome to have wrongly appropriated over 51 million cedis from the state of Ghana. The Law must serve the Governed and not the other way round. It must have utilitarian value, as students of Jurisprudence would say. However, when the literal wording of the Law is clear and explicit in context as well as after fully perusing the relevant document, unless the literal interpretation leads to an absurd result, we owe it to ourselves to enforce it. My point therefore is that our clear and unambiguous Laws must be obeyed at all times, to offer our country any hope of progress. Where there are compelling reasons not to obey the Laws, we should never be tempted to do so, but to follow the requisite processes laid down in law to amend same with alacrity. In the U.K., the Lawrence enquiry played a key part in bringing about major changes to the Double Jeopardy Law. Stephen Lawrence was an 18-year old black boy studying architecture at University. The eighteen-year-old was stabbed to death in an unprovoked attack by a gang of white youths as he was waiting at a bus stop in Eltham, south-east London, with his friend Duwayne Brooks. In 1997, Sir William Macpherson was appointed to lead an enquiry into Police failures, racism and ineptitude generally but obviously including what had led to Police failure to prosecute the white boys who were accused of committing the deadly act. Stephen Lawrence’s parents had unsuccessfully brought private criminal prosecutions against some the suspect white youths in 1996. Pertinently, Sir William Macpherson recommended that the Double Jeopardy Law be changed for certain serious offences, following his inquiry. There would otherwise have been no chance of ever bringing an action against some of the white suspects, after their unsuccessful private prosecution in 1996 despite fresh damning evidence that had come to light. In 2005, the relevant portions of the Criminal Justice Act 2003 came into effect, which abolished the double jeopardy rule. The British effectively rid themselves of the rule against Double Jeopardy, under a strict and definable criteria. It abolished it for serious crimes. It is worthy of note that the change was retrospective in that it caught even cases tried before the coming into force of the new act. They did this when they realised that people were literally getting away with murder, even in the face of an unwavering admission of guilt by the culprit after an acquittal. Double jeopardy rule may still exist in various forms such as the rules on ‘an abuse of process’ but the presumption of jeopardy just because of a second trial is gone from the U.K. for serious crimes. Needless to say, the rule against Double Jeopardy has a justifiable rationale although in Woyome’s case, the successful invocation of the rule will protect a rather gargantuan and unprecedented criminal fraud against the people of Ghana and he must not be allowed to have the last laugh. By Kwame Ohene Asare Esq. This author has authored 18 publications on Modern Ghana. Did Afari-Gyan Invoke His Right To Silence?